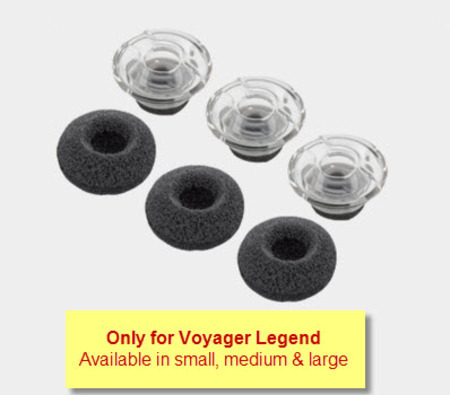 Replacement eartip kits for the Plantronics Voyager Legend headset. Each eartip kit contains 3 silicone eartips of the same size (small, medium, or large). The small and medium sizes come with optional foam covers.